Providing you the best range of Fancy Saree such as Exclusive Fancy Saree, Trendy Fancy Saree, Ladies Fancy Saree, Designer Fancy Saree and Modern Fancy Saree with effective & timely delivery. 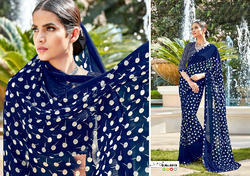 We are one of the leading manufacturer and supplier of Designer Pure Linen Saree. We obligated to meet the quality standards. 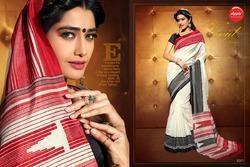 We are one of the leading manufacturer and supplier of Ladies Designer Silk Blend Saree. We obligated to meet the quality standards of the product.